Every candidate comes with their own set of unique interviewing challenges. 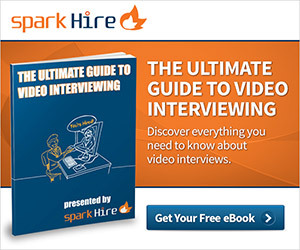 That’s why we’re tackling video interview tips for different types of candidates with this how-to series. Today we’ll be talking about how to use video interviews to connect with candidates who don’t like to stay in one place for very long. Job hoppers jump from job to job, making companies wary of trusting they will stick around the organization long enough to add any real value. In fact, a recent survey by Bullhorn showed 39 percent of hiring managers think a history of job hopping is the single largest deterrent to hiring. If an unemployed candidate has a job hopping history, employers are likely to turn in the other direction. But should employers write these candidates off wholesale? Another recent survey showed a candidate’s prior work history is actually a poor predictor of future job longevity. It makes sense, since every situation is unique, just like candidates themselves. Before writing off a great candidate just because they seem like a rolling stone, use the video interview as a chance to ask about their history and craft a crystal ball to see into their futures. Most job hoppers don’t just up and leave their company one day for no reason. So ask the big question at the forefront of your mind: Just why did they leave their last jobs? Like a detective, you need to find out the full story in the video interview in order to accurately evaluate your candidate. Job hoppers often have valid reasons for why they left their last position. Perhaps there was no growth potential or the company culture was a bad fit. You won’t know why they abandoned ship until you ask. Look for candidates who use this question in the video interview to give you clear, concise, and honest answers. Good candidates will explain their situation without getting defensive. Candidates who fit into the company culture are more likely to stay. Many job hoppers just can’t find the right company culture for their working style and personality. In the video interview, see what the candidate knows about the company and how they envision the company culture. If your talent’s idea of the company culture is completely off, this doesn’t bode well for their future in the organization. Listen critically to what they think your company is like, and what they’re looking for in an ideal work environment. If your company culture and their wish list don’t match up, you’ll be filling the position again soon. Many job hoppers left their last company because they took the first job offered to them without considering how it would fit into their overall career path. The video interview is the time to find out your candidate’s career goals. If your position fits into their larger career aspirations, then they’ll be likely to stick around. If not, they’ll hop away as soon as something better fitting comes along. Are they asking insightful questions about the potential for their future in the company? Or are all their questions centered on the here and now? The quality of candidate questions can tell you a lot about where their head-space is going into the job. If they’re just looking for something for the moment or a job to pay the bills, they’re unlikely to stick around. If, however, they’re looking for a career opportunity to allow them to learn and grow, they might be ready to settle down at your company. Job hoppers are not terrible candidates just because they’ve jumped around in the past. Their past work history doesn’t mean they won’t be a valuable and loyal member of your team. As long as you make sure your candidate is interested in your position as a step along a career ladder instead of just a steady paycheck, you’ll be wise to give them a chance to prove themselves. What are some of your tips for interviewing job hoppers? Share in the comments!